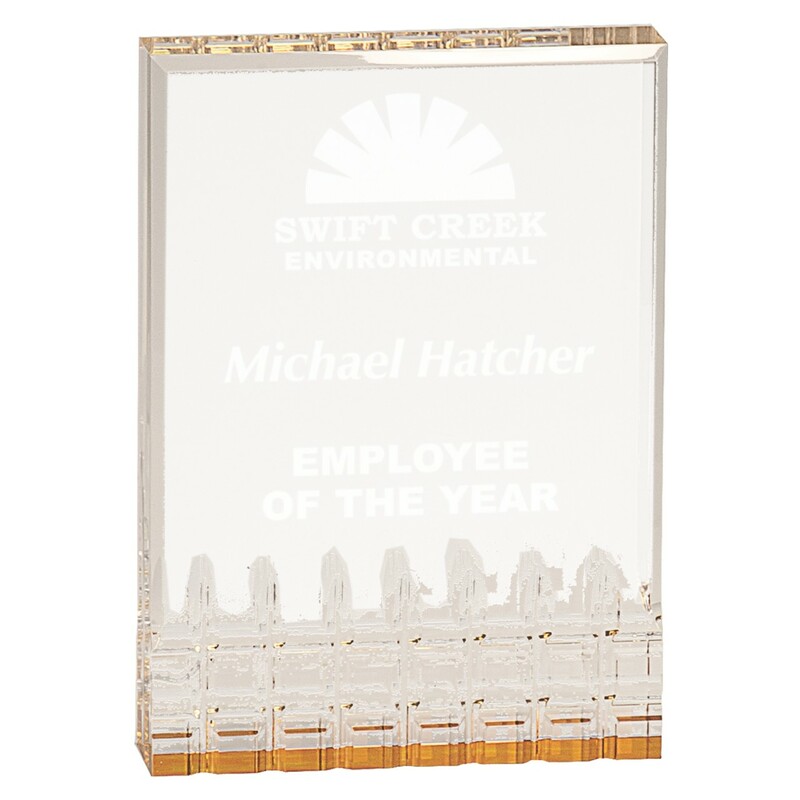 Our popular and economical Mirage Acrylic Award make beautiful corporate awards for years or service or excellence in sales! 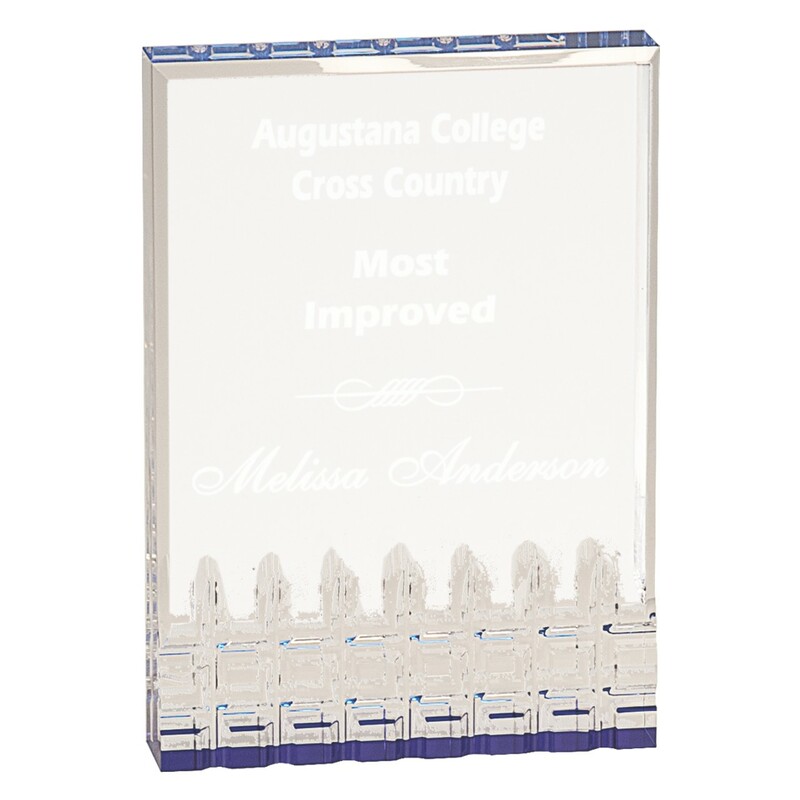 These economy acrylic awards feature one inch thick acrylic pieces with a beveled design at the bottom. 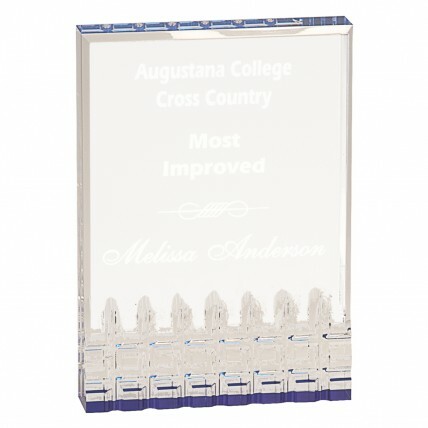 Self standing, they can be displayed on an office desk or lobby shelf. 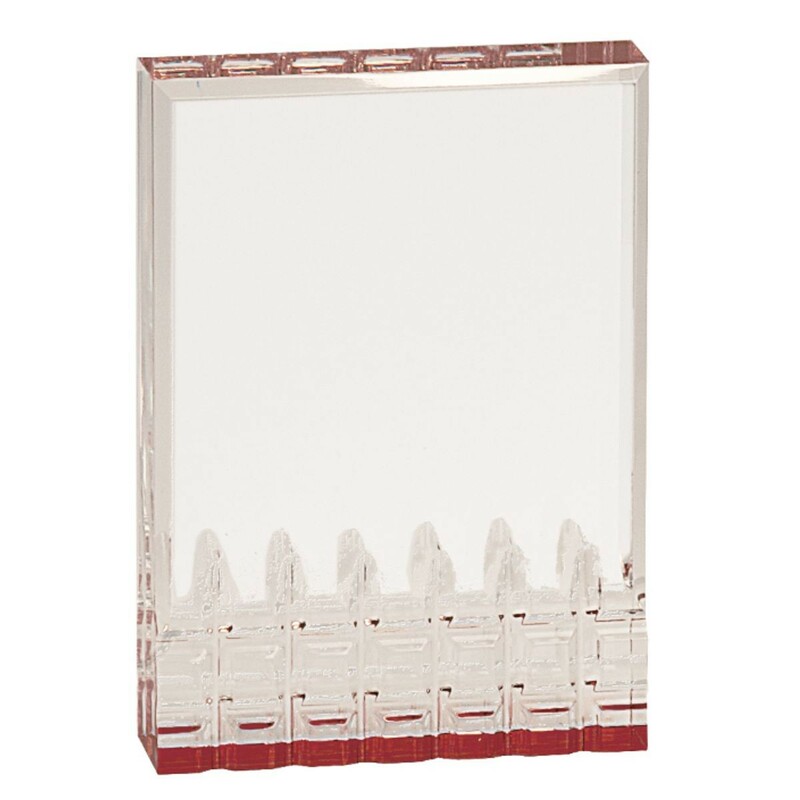 A solid color bottom of your choice of blue, gold, green or red - match it to your company's logo!